Kanji Watanabe (Takashi Shimura), a lowly, stuck, middle-aged bureaucrat, falls ill with cancer and has less than a year to live. This simple yet deeply profound event sets into motion one of the great humane films of Kurosawa’s long and storied career, made in sharp contrast to his well-known samurai work. Watanabe is routinely ignored and taken for granted, and lacks the will to action—until his cancer diagnosis, after which he comes to a series of stark realizations and grapples with what it means to live. 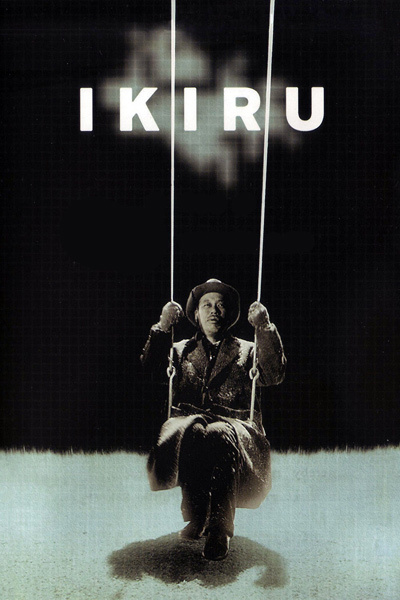 “One of the fine things about Ikiru is that, like other great films, it is a moral document and part of its greatness lies in the various ways in which it may be interpreted. Here, as in the novels of Dostoevsky, we see layer after layer peeled away until man stands alone––though what the layers mean and what the standing man means may vary with the interpretation.” —Donald Richie.